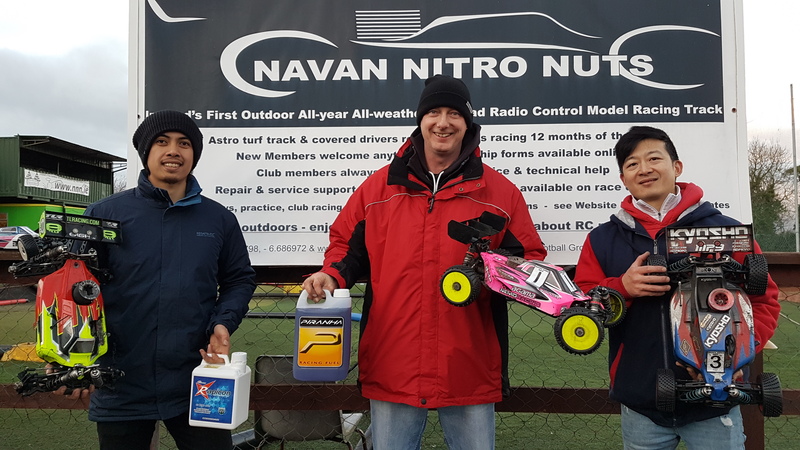 We finish up today for the 2018 season with a friendly race day at Navan with a number of spot prizes for those in attendance. The day was dry but the track was wet after heavy overnight rain, this lead to tricky conditions on track with traction levels low all day. 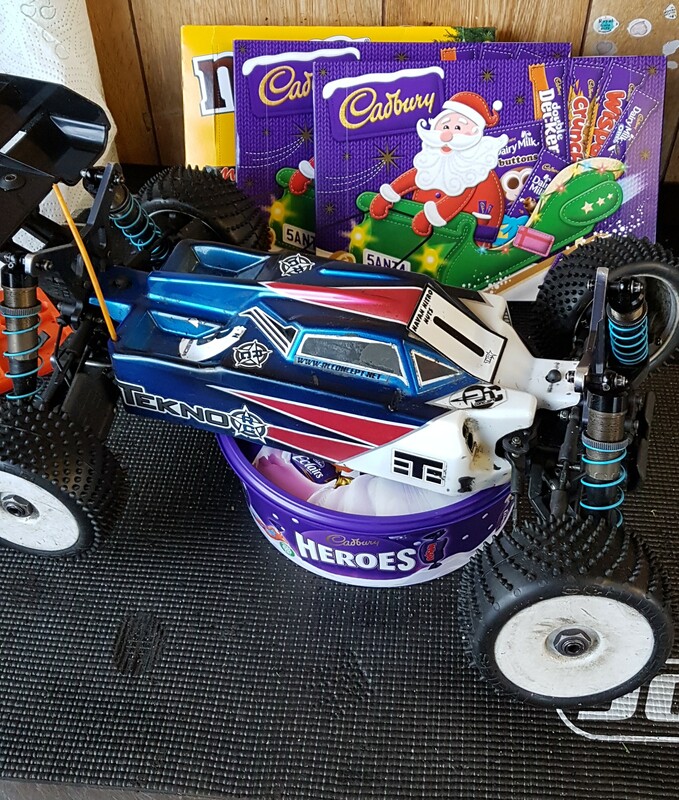 TQ in Nitro went to Jimmy and in Ebuggy Derek. 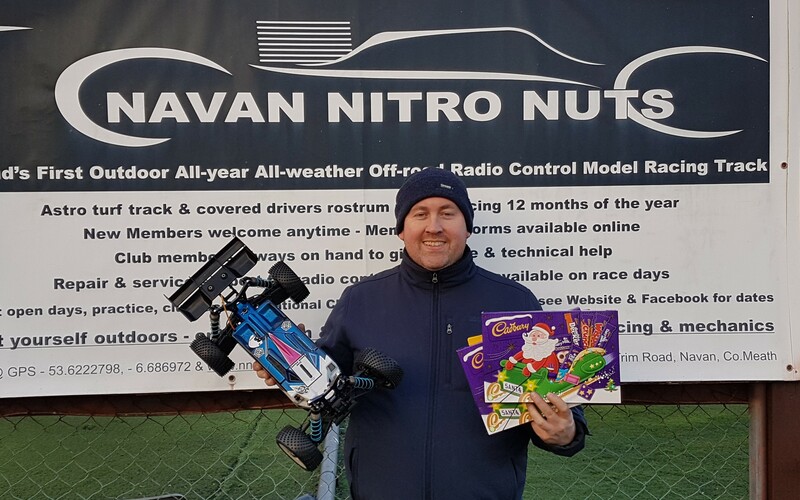 In Nitro 1st was Derek, 2nd Jimmy and 3rd Sean. We missed the update for Round 4. 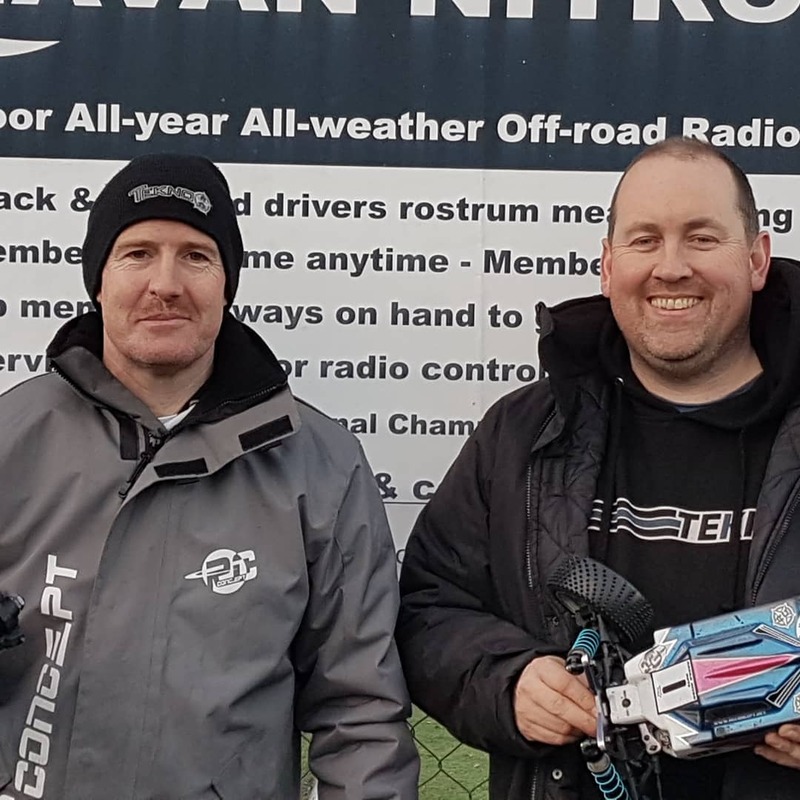 In Ebuggy 1st Colin, 2nd Derek, 3rd Conor. Next round is round 6 on January 13th. Cya all then and in the meantime enjoy the Christmas and New Year break. 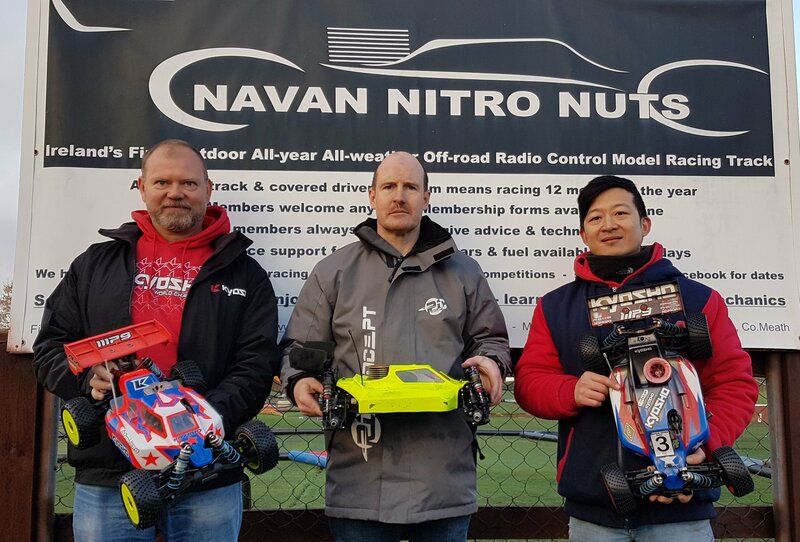 © 2019 Navan Nitro Nuts.